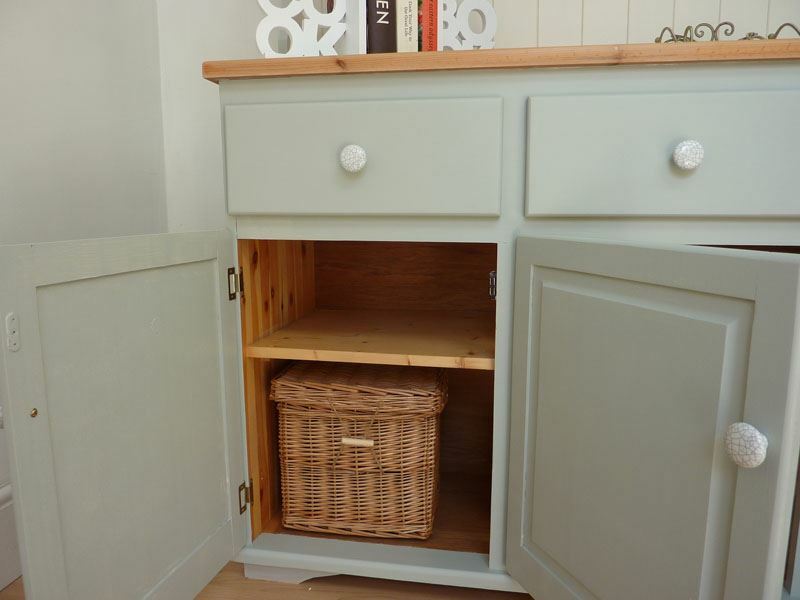 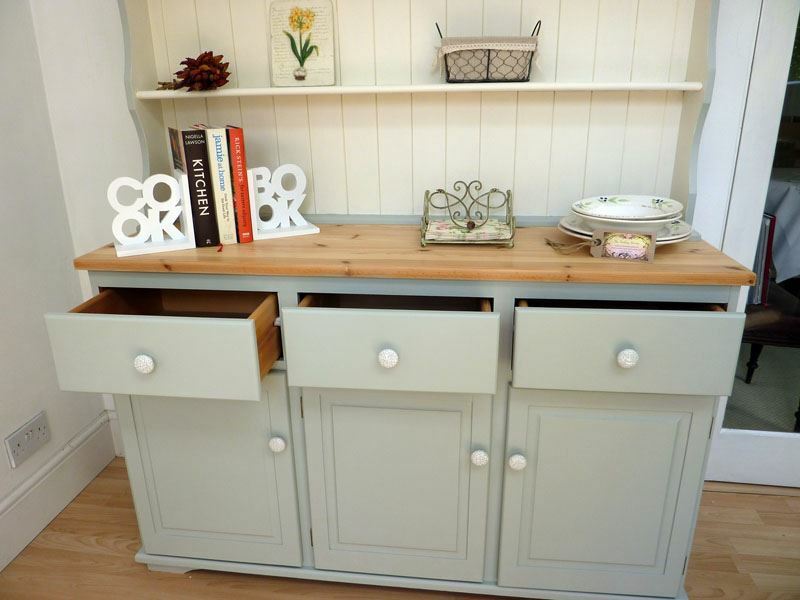 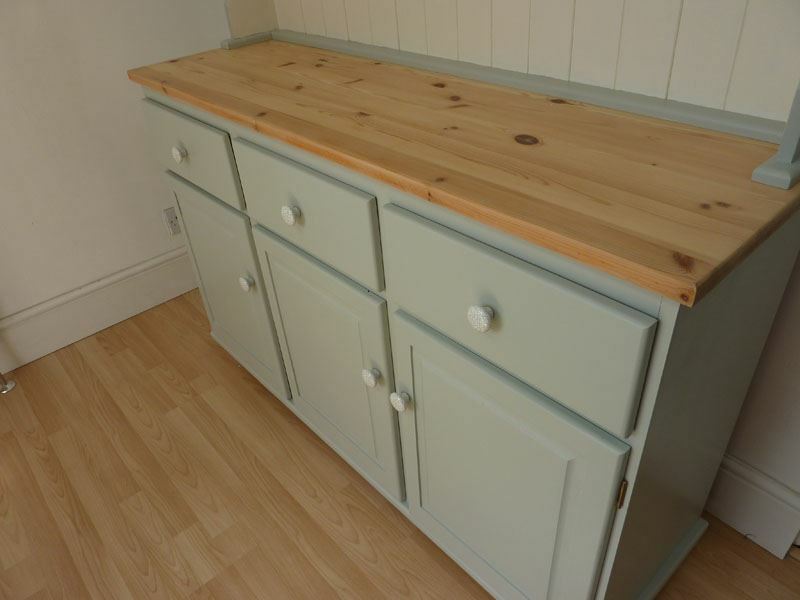 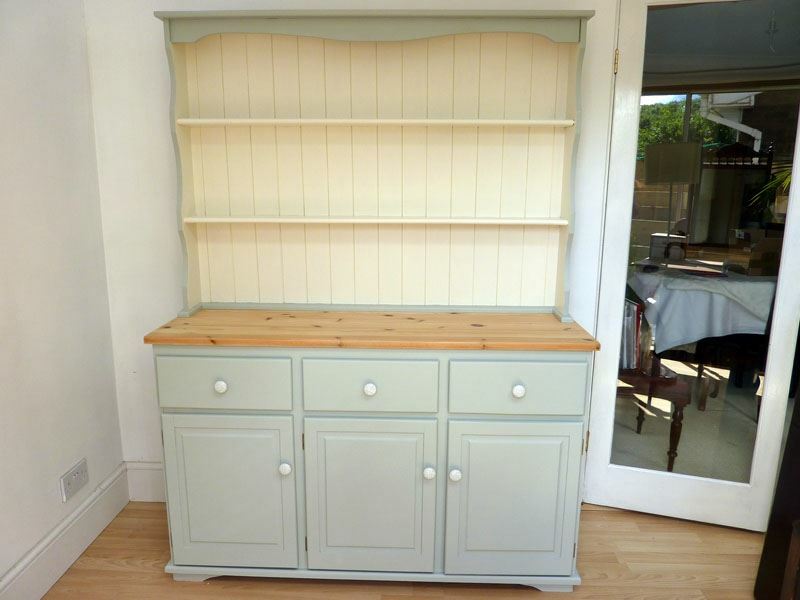 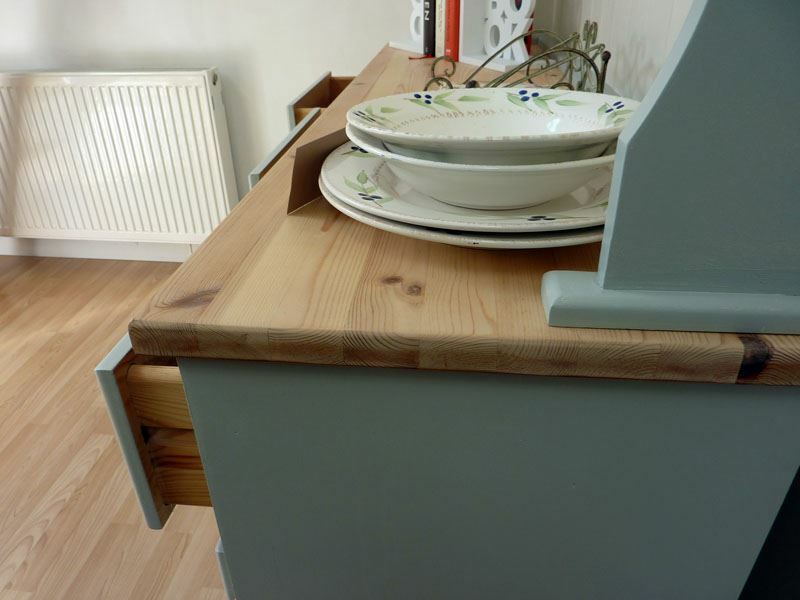 A large pine farmhouse dresser with three doors and three drawers to the base.The top section is open shelved with a simple shaped pelmet to the top. 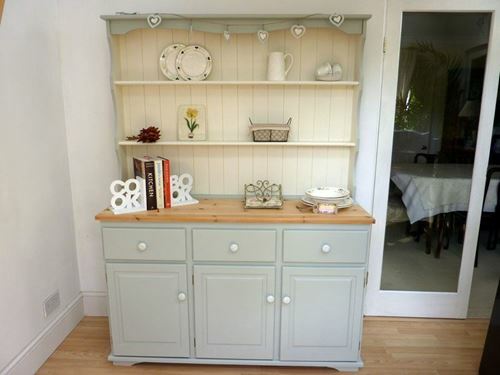 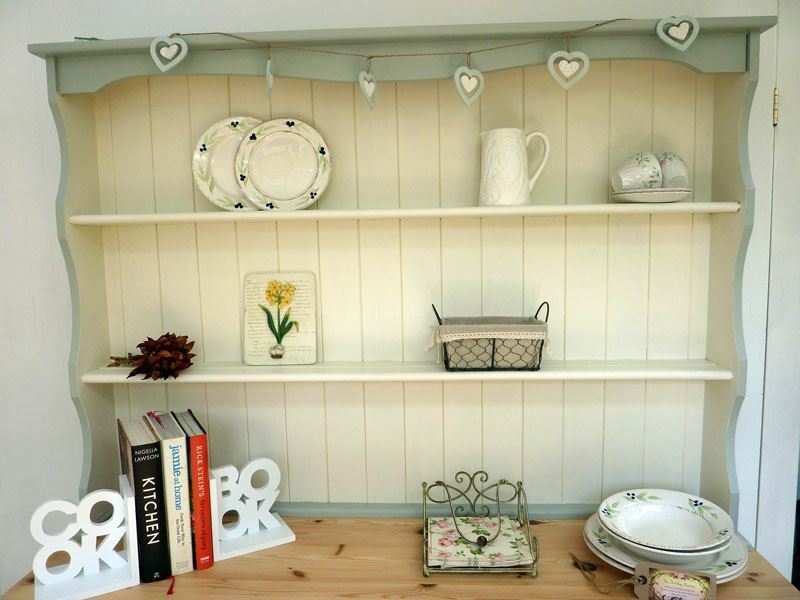 We painted in Moonstone eggshell contrasted with Regency White. 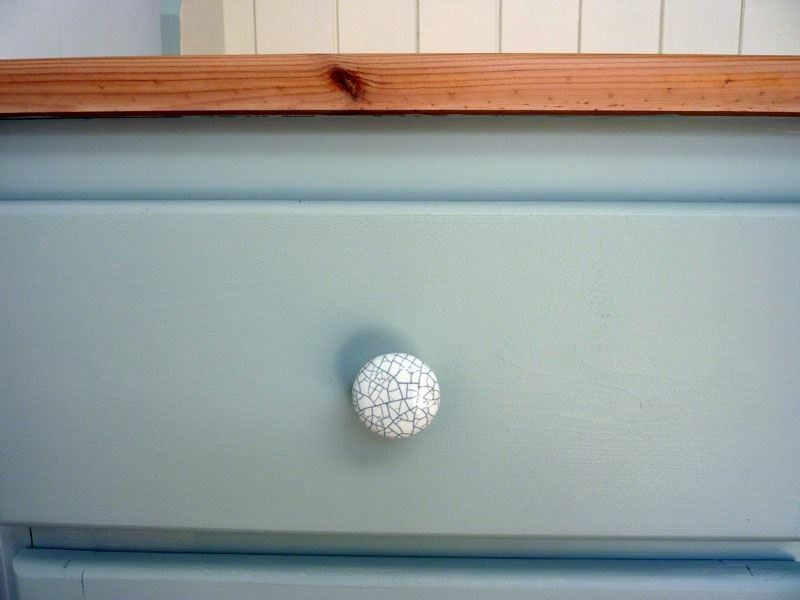 The dresser worktop has been stripped of old varnish and then polished using natural wax.We have added some gorgeous ceramic crackle glaze knobs to complete the transformation. 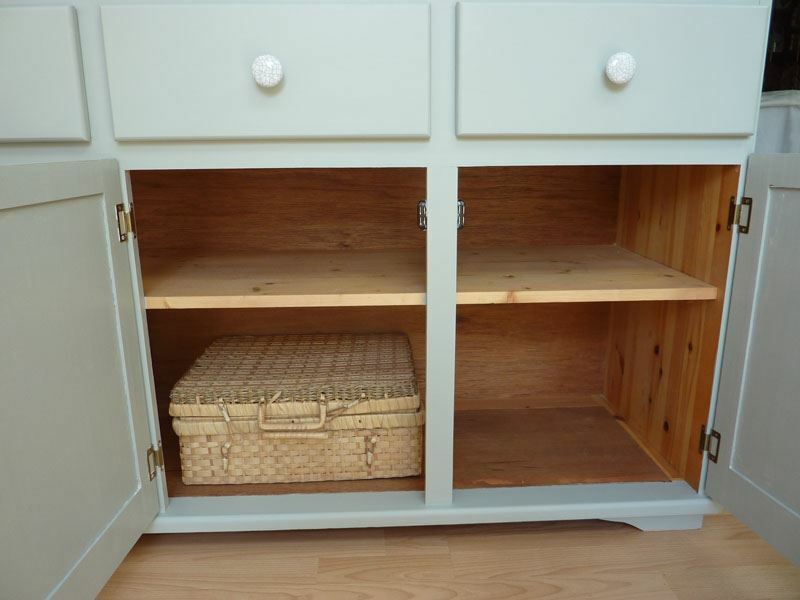 It provides great storage whilst looking stylish & very attractive.